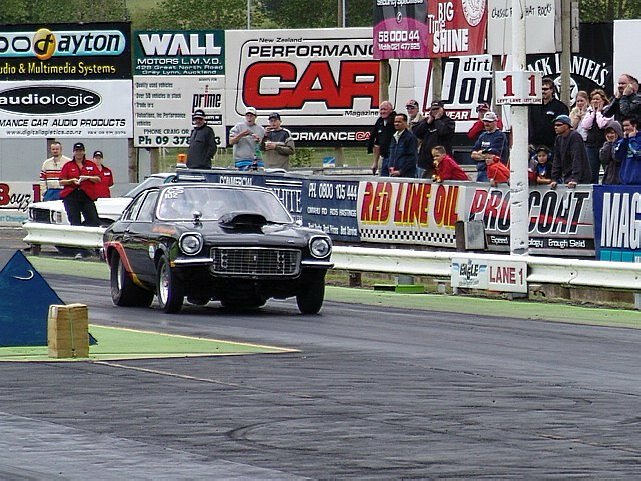 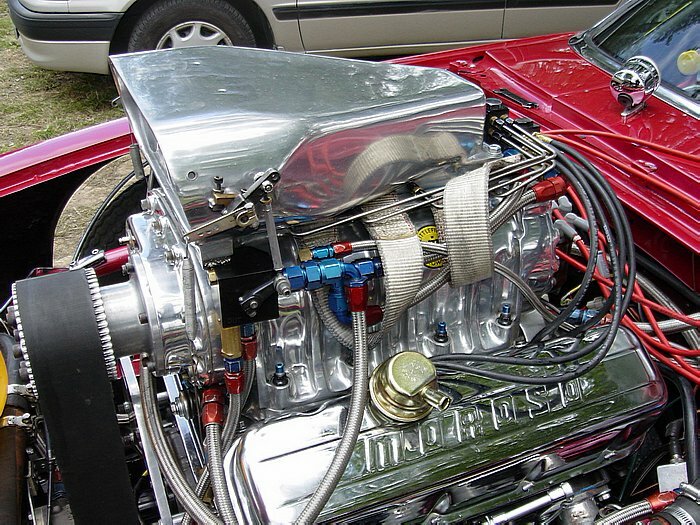 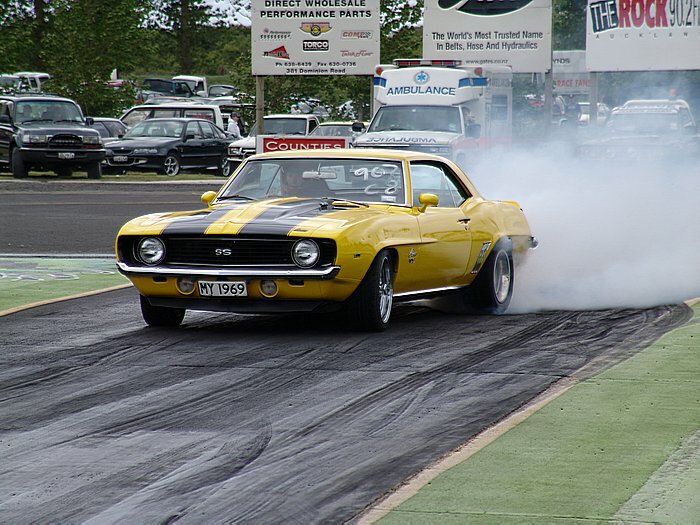 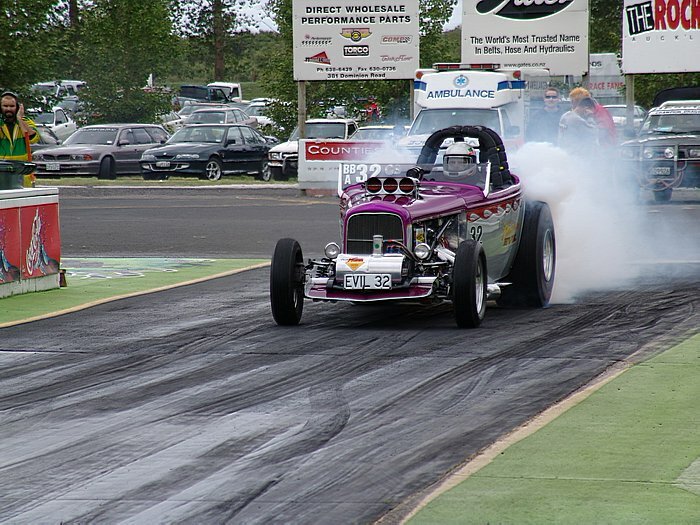 A SMALL TURNOUT OF HARDY RACERS AND EQUALLY BRAVE SPECTATORS MADE THEIR WAY TO THE FIRST TEST AND TUNE MEETING FOR THE 2004/2005 SEASON AT CHAMPION DRAGWAY. 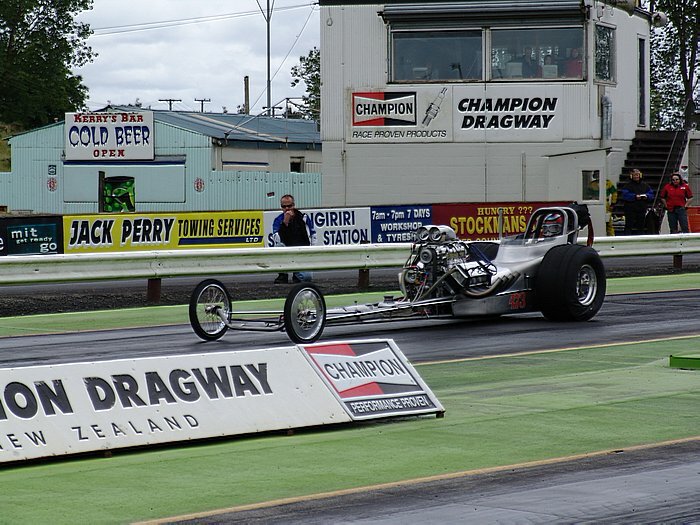 CLOUDY AND WINDY CONDITIONS ONLY EFFECTED SOME OF THE RACERS WITH MOST SHOWING GOOD EARLY FORM AND DOES BOAST WELL FOR THEM TO GO ON AND HAVE IMPROVED PERFORMANCES THIS SEASON. 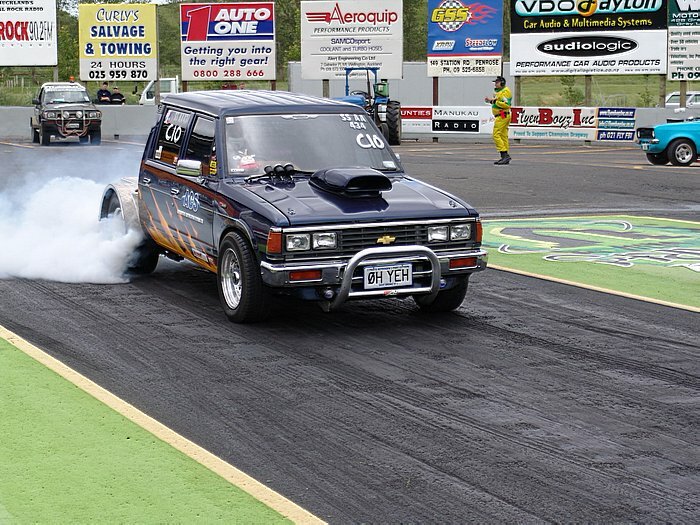 THE TWO QUICKEST PASSES OF THE DAY WERE MADE BY CHRIS TYNAN IN HIS CHEVY TOP DOORSLAMMER. 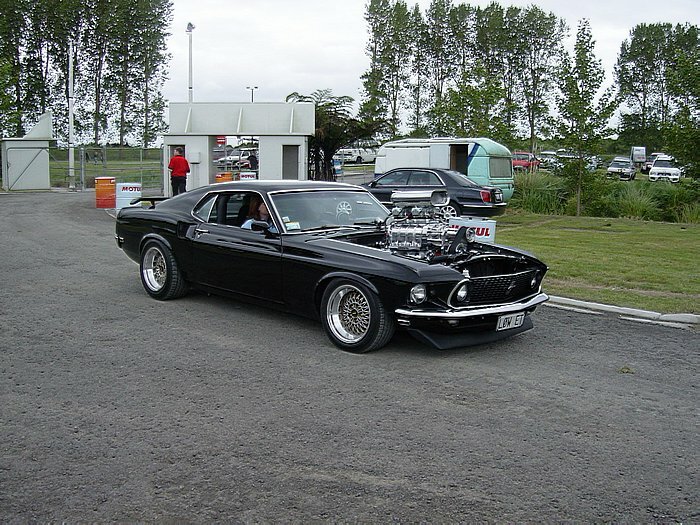 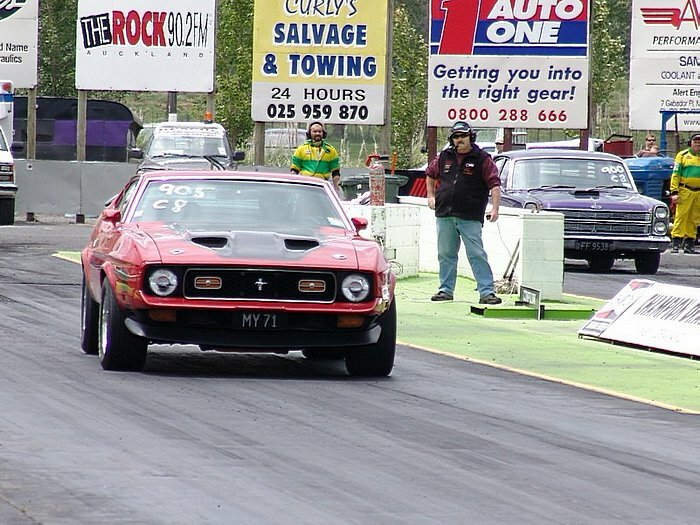 NOW RUNNING ON 8 CYLINDERS, HE MANAGED 7.15 & 7.08 SECOND RUNS CONSECUTIVELY. 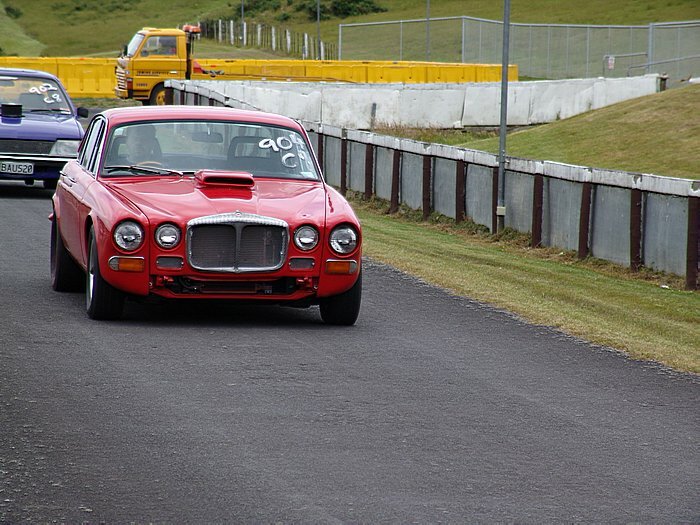 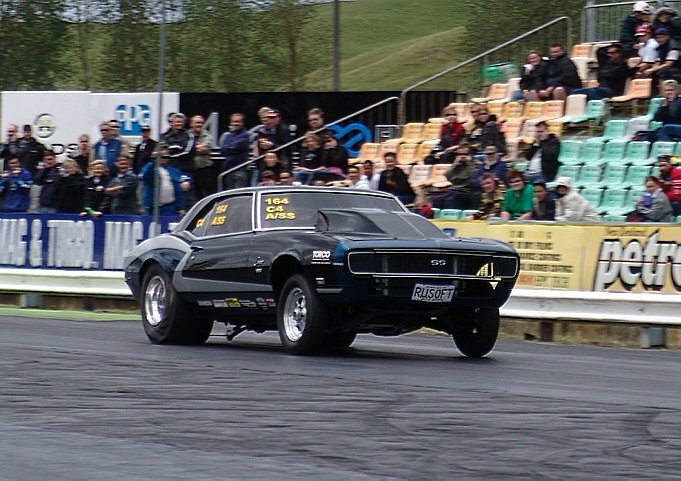 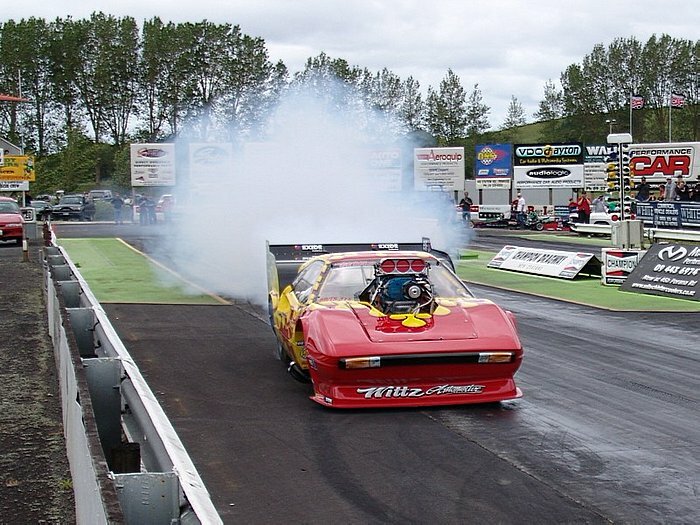 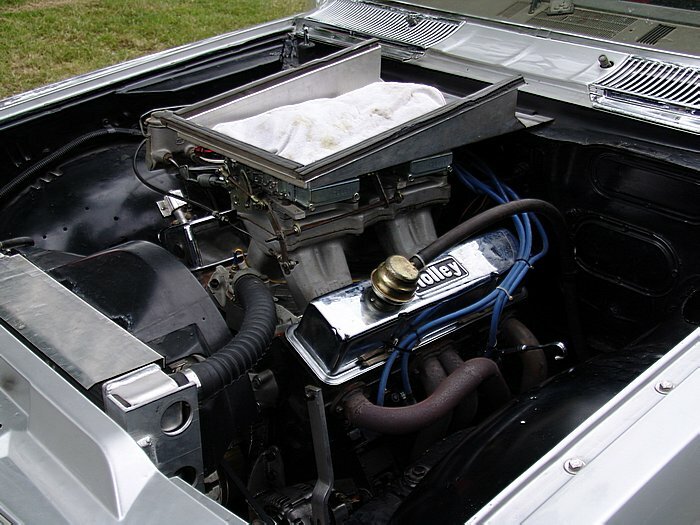 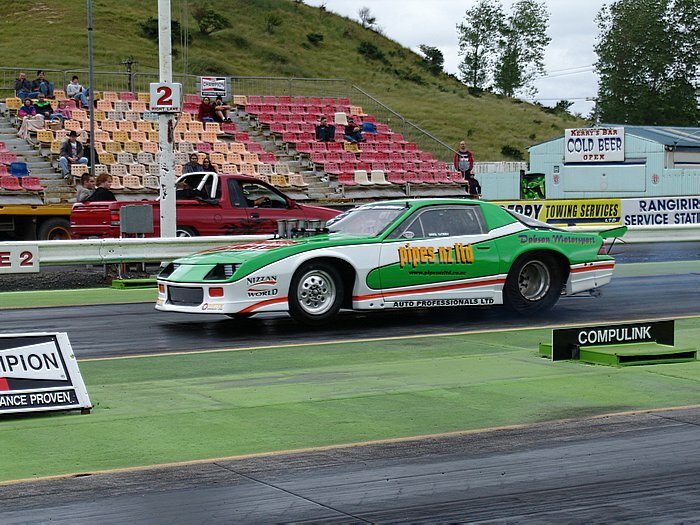 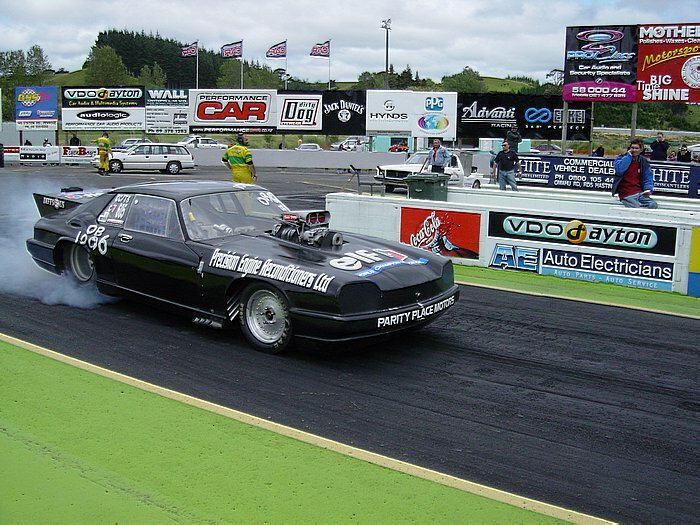 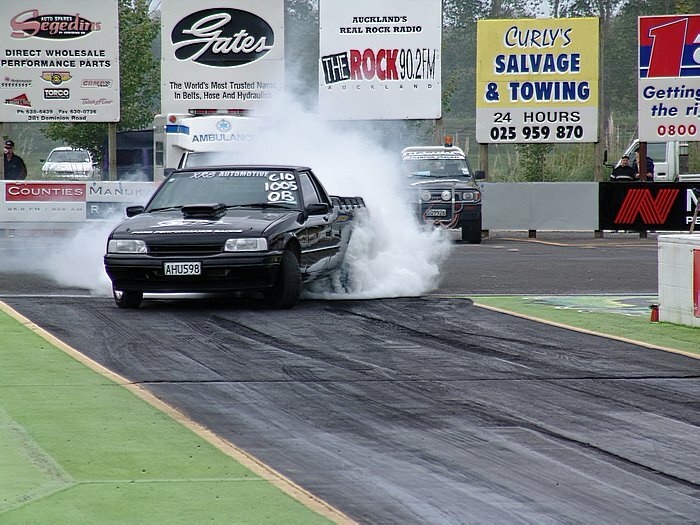 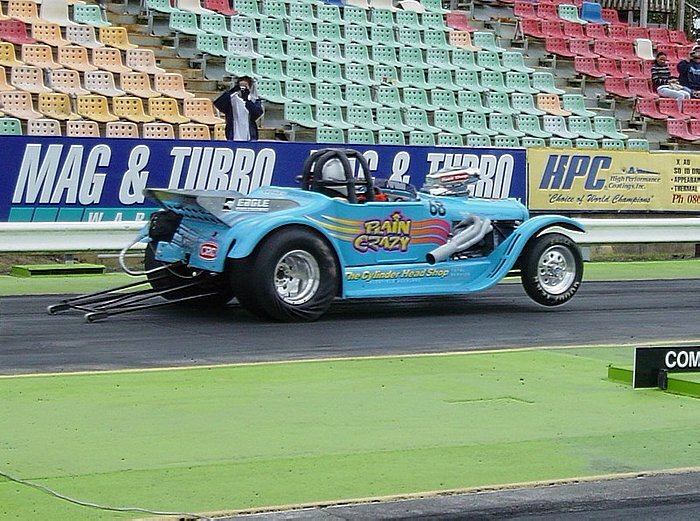 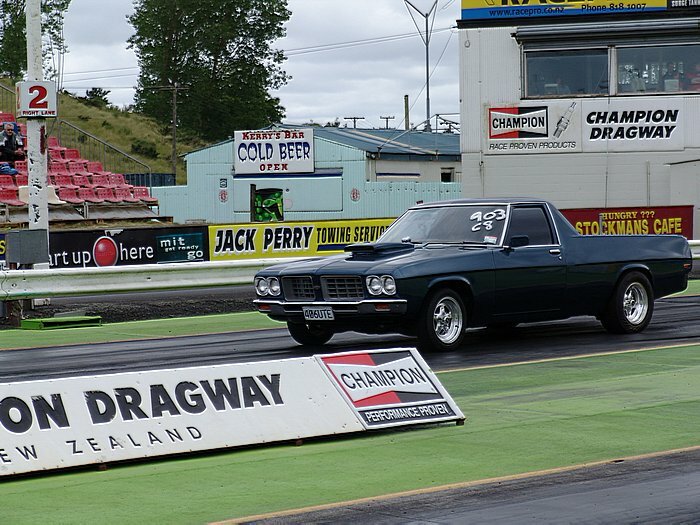 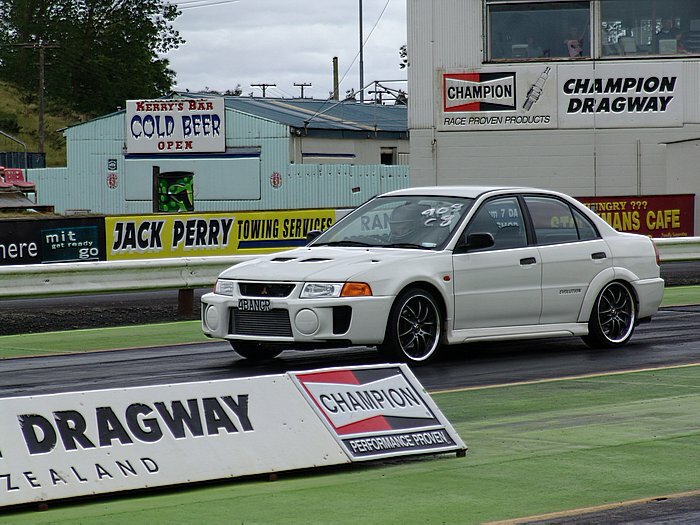 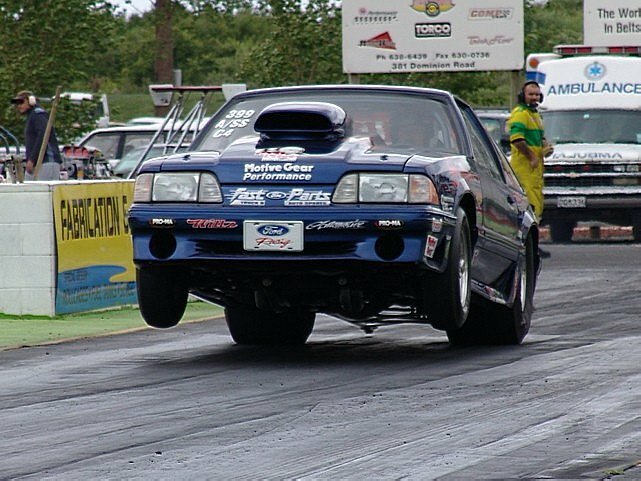 ROD HARVEY GETS A MENTION ALSO FOR BEING THE FIRST NZ CAR IN THE "IMPORT" CLASSES TO RUN IN THE 8.3 SECOND ZONE. 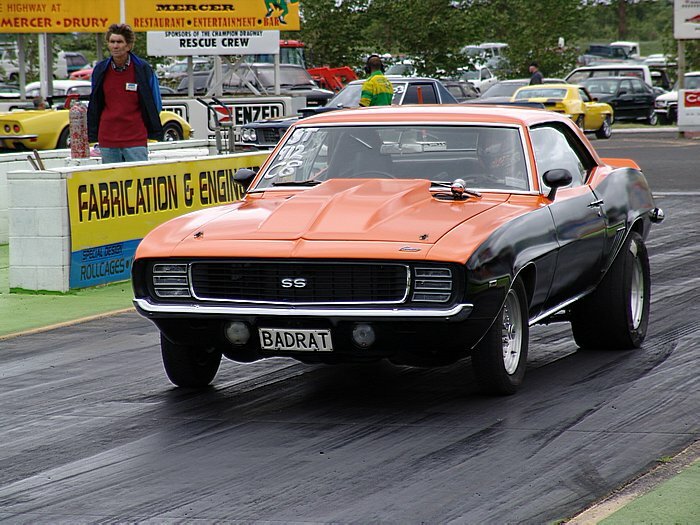 NO DOUBT THE PRO/BB INDEX IS GONNA TAKE A POUNDING THIS SEASON MUCH TO THE DISMAY OF OTHERS RUNNING ON THE SAME INDEX! 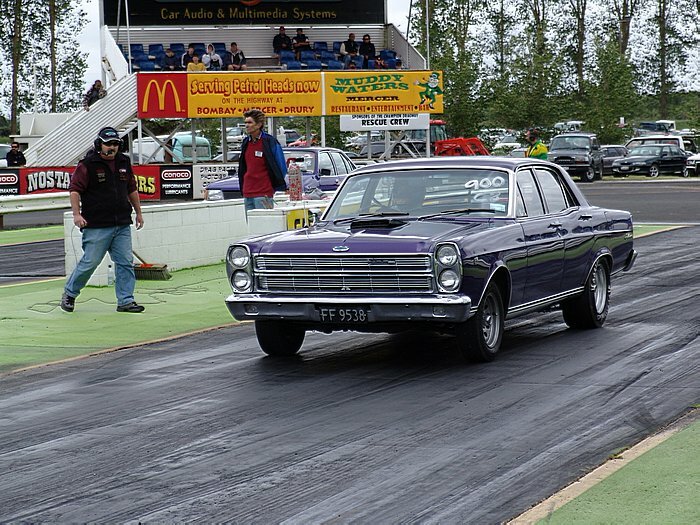 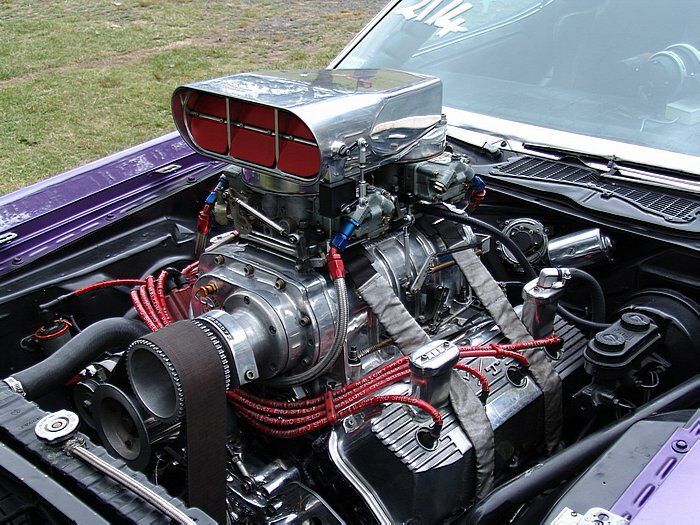 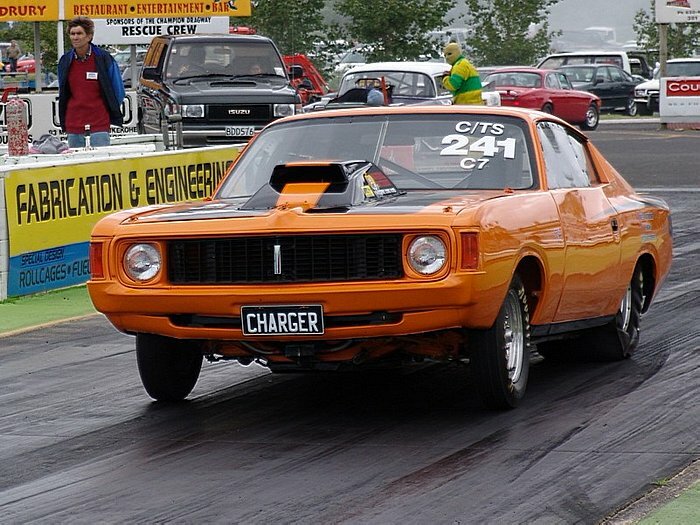 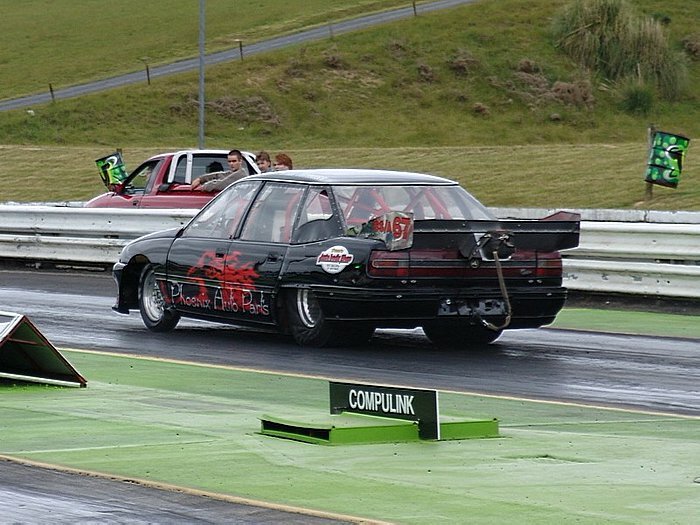 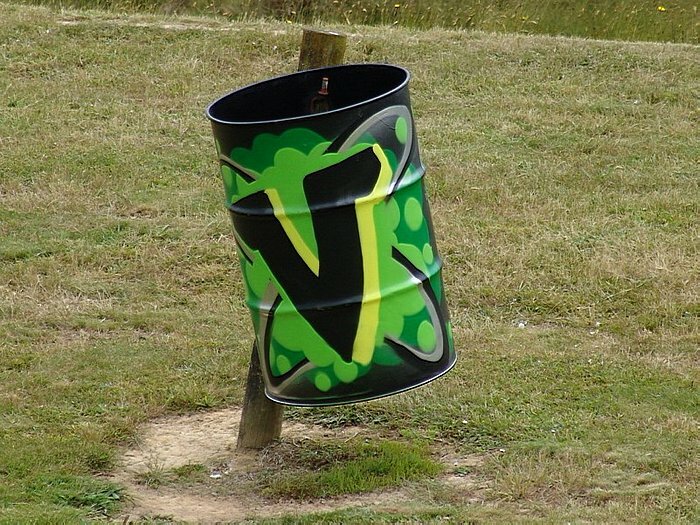 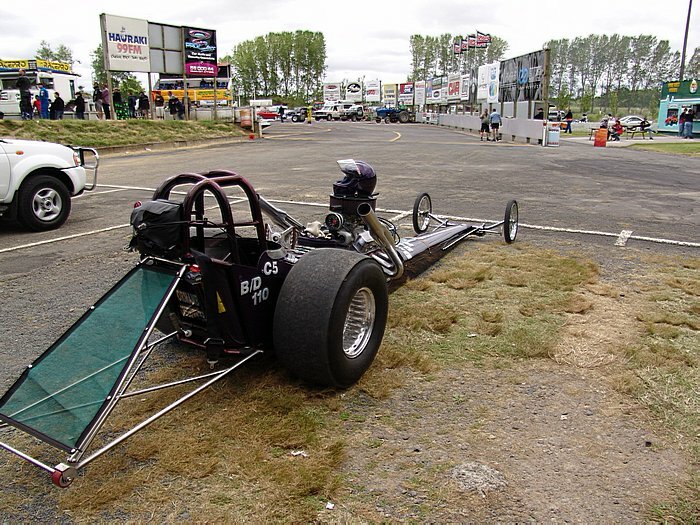 FINALLY, OLDER FOLLOWERS OF KIWI DRAG RACING WILL REMEMBER PETER LODGE WHO CAMPAIGNED THE LEGENDARY "BALOO" AND "HOMBRE" FUEL ALTEREDS FROM YEARS GONE BY. 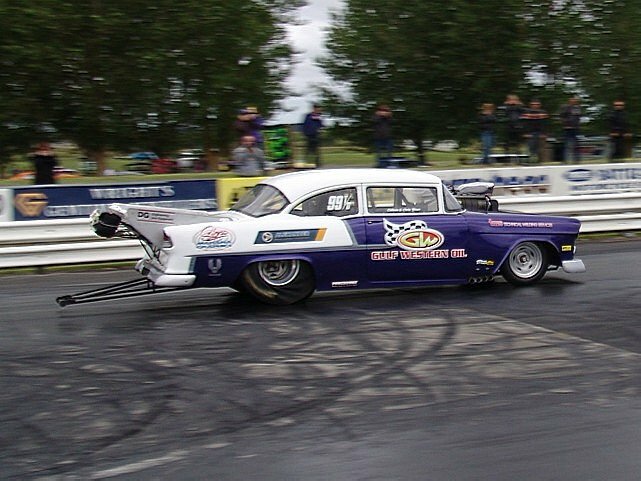 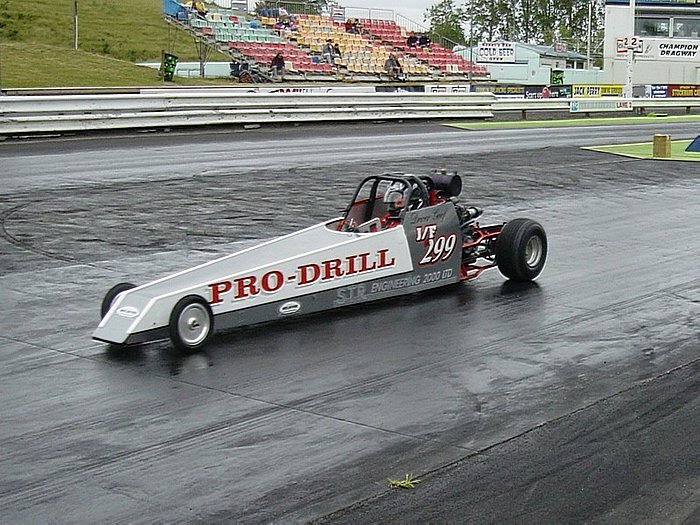 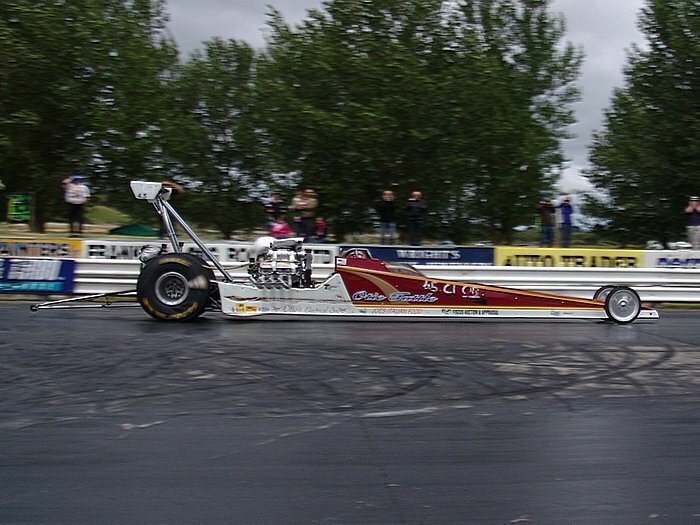 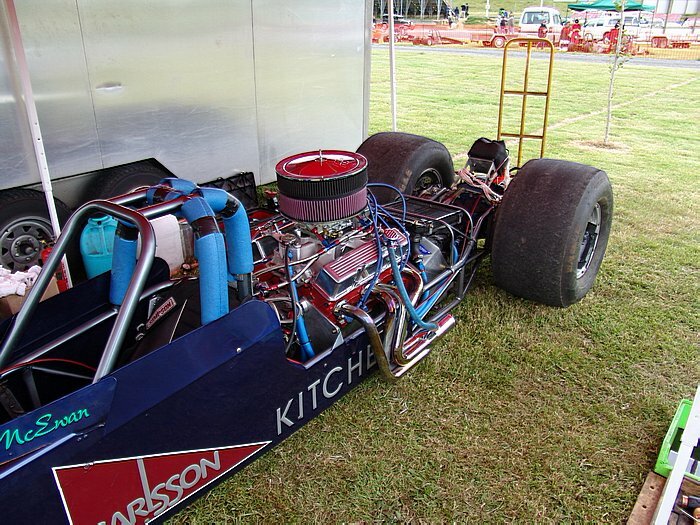 PETER AND HIS FAMILY HAVE MADE A WELCOME RETURN TO THE RACING SCENE WITH AN AMERICAN BUILT, BLOWN, REAR ENGINEED DRAGSTER DOING LICENCING PASSES. 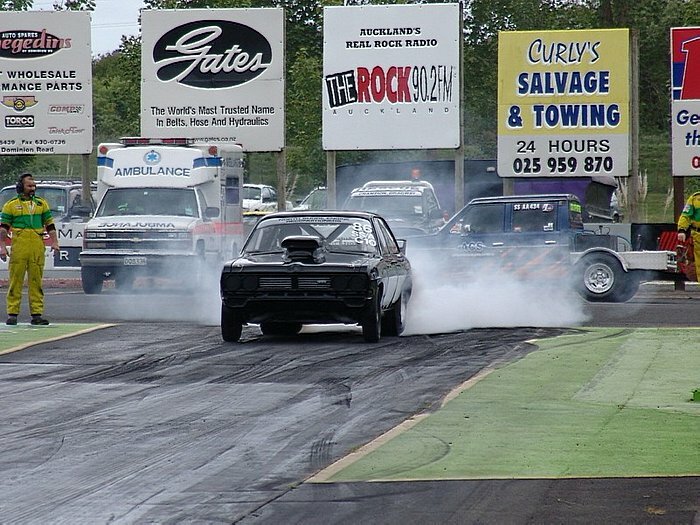 THEIR FINAL RUN OF THE DAY NETTING AN EXCELLENT 7.34 SECONDS WITH THE CAR BEING SHUT DOWN BEFORE THE FINISH LINE.